The American actor, known for his roles in movies such as Dear John, 21 Jump Street and as a male stripper in Magic Mike, is starring in Smallfoot as Migo, a yeti who discovers a human. Tatum, 38, has a five-year-old daughter from his marriage to actress Jenna Dewan and said he wants to appear in “as many animated movies as I possibly can” so she can watch him. He told the Press Association: “This is the first actual real film I have ever been in, if you ask my daughter, so it was a big thing for me. “I was really excited, I am leaving the stuffed animal (of Migo the yeti) around the house just to try and be a little cooler to her. So this is a big thing for me. 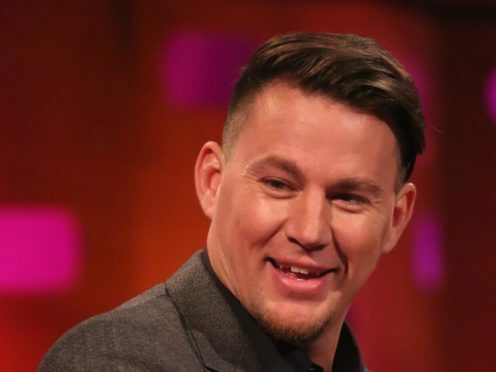 Tatum stars in Smallfoot alongside British actor James Corden, who plays an unscrupulous television wildlife expert trying to salvage his career through the yeti. Corden has worked on animated films before, including 2016’s Trolls and 2017’s Peter Rabbit, and said it is a “real privilege” to be able to show his three children his work on the movies. He said: “So much of their lives you are often trying to shield them from a lot of what your life may or may not be. Or, the work that you might be doing, if it holds up they will watch it when they’re older. “But it’s a wonderful thing as a parent to come home and go ‘Hi guys, I have done a little bit in this and I would love to show you it to you before it’s in the cinema’. Tatum said working on an animated film requires actors to “not be afraid of being a complete fool”, adding: “And that was Migo. He is pretty out there as a character and being able to find my voice in Migo, it’s a subtle difference. It’s still me but it’s more of a sort of goofy, optimistic me. Smallfoot, also starring US rapper Common, Zendaya and Danny DeVito, is out in the UK on October 5.